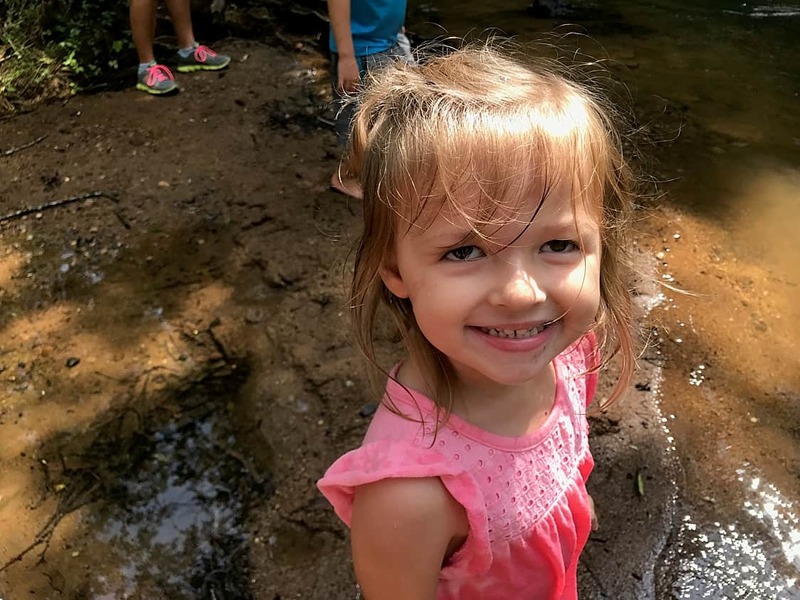 My husband and I have been RVing with our kids for a couple of years now and we are really loving the freedom it brings. 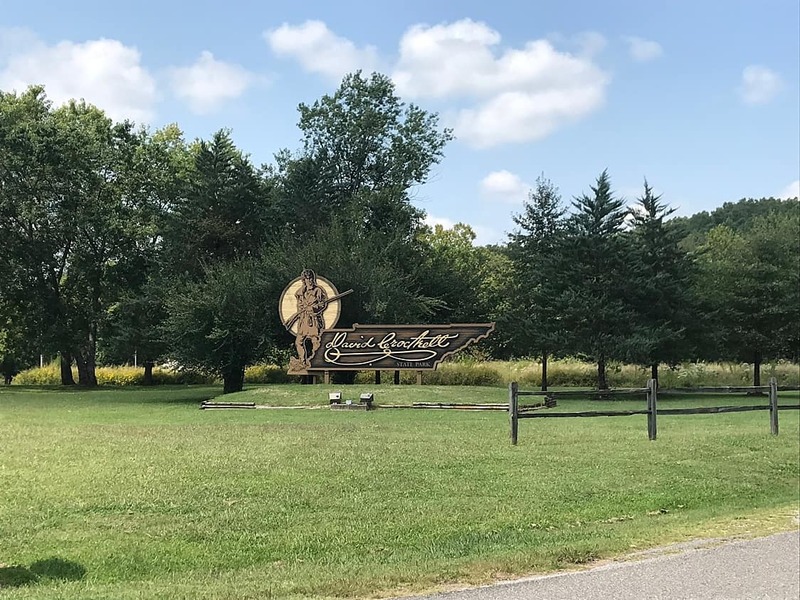 At first I wasn’t sure about all this “camping”, but what I found out is that when you RV, it actually means that you stay in a nice studio apartment that gets towed behind your truck. Now, we can escape the confines of suburbia and schedules at the drop of a hat! 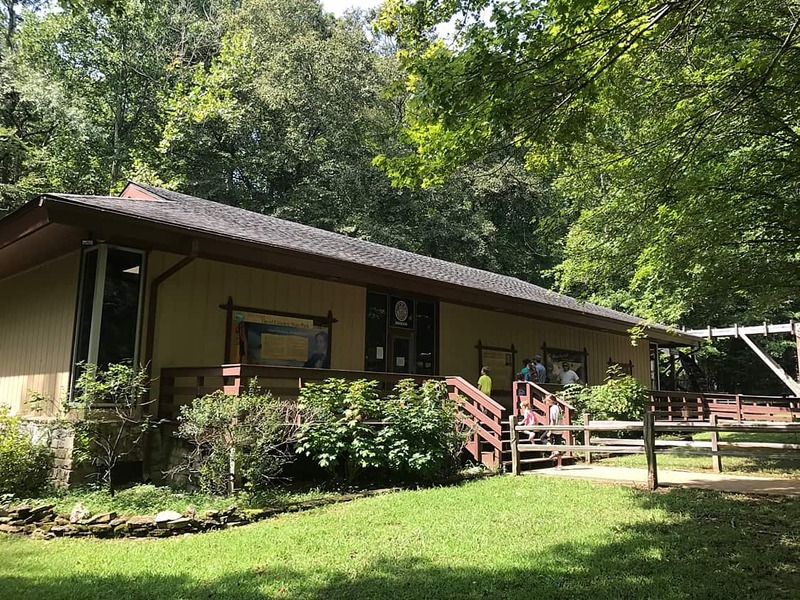 The latest such escape was a trip with some friends to David Crockett State Park in Lawrenceburg, Tennessee. It was our first time to take the RV camping in another state. 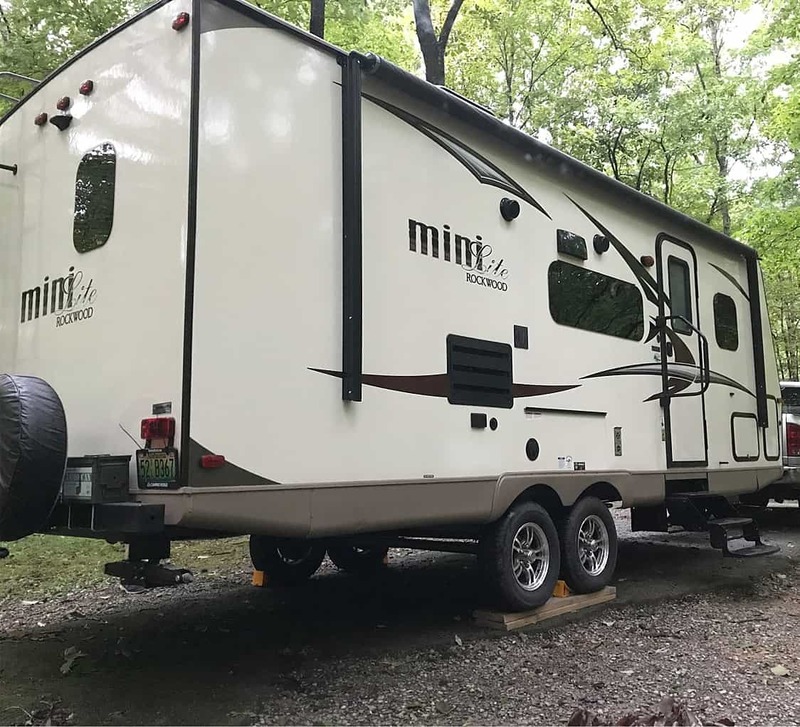 Our goal is to bit by bit take our Rockwood Mini Lite further from home (and outside our comfort zone). 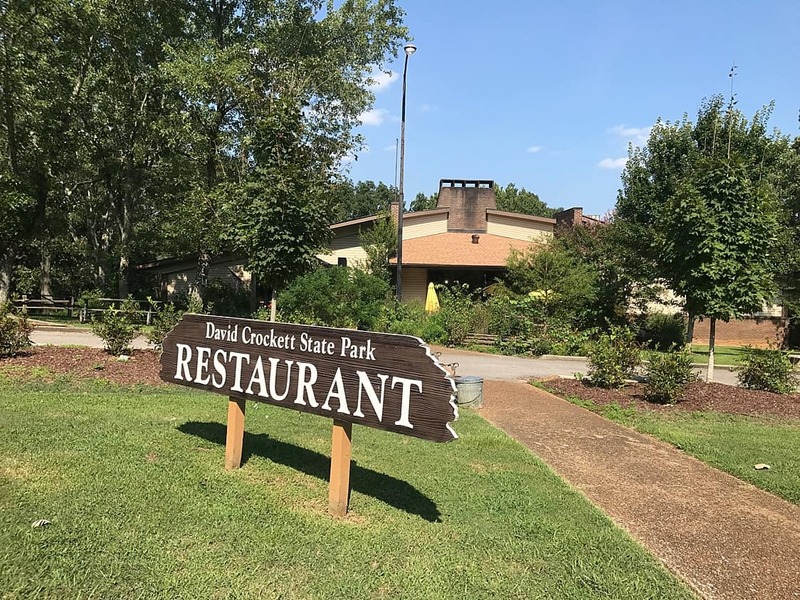 David Crockett State Park was the perfect place to spend the weekend with our little home away from home. Here are a few reasons why we were so sad to leave and plan to be back soon. 1. 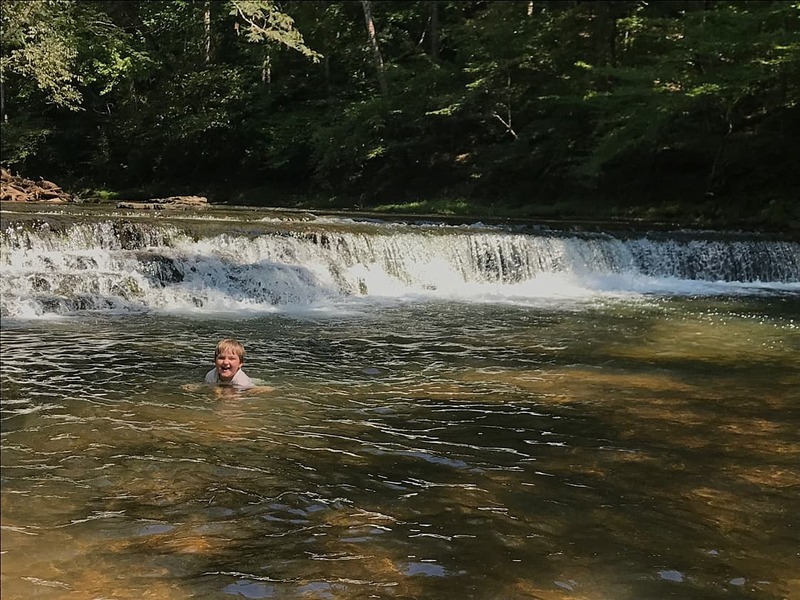 The water at Davy Crockett State Park is amazing! 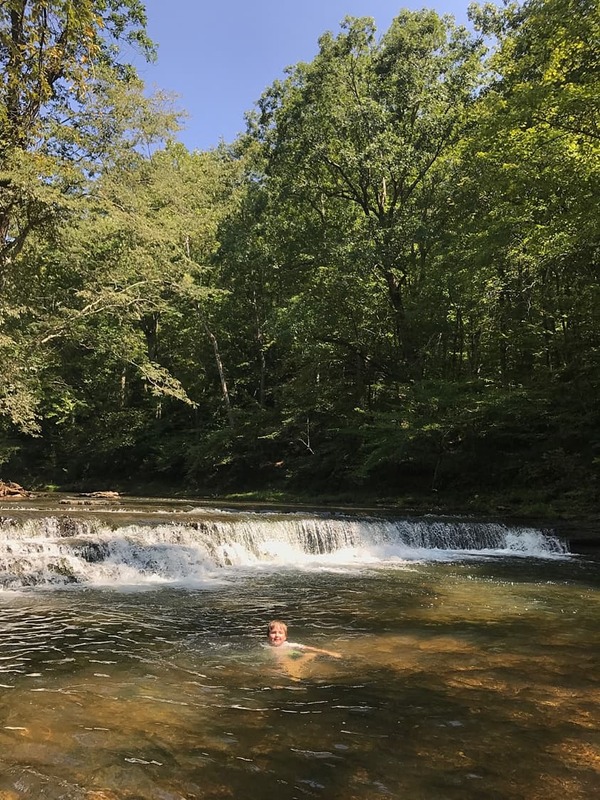 As if the soaring trees and beautiful rock bluffs aren’t enough, the cool waters of Little Shoal Creek that flow from one end of the park to the other make everything postcard worthy. 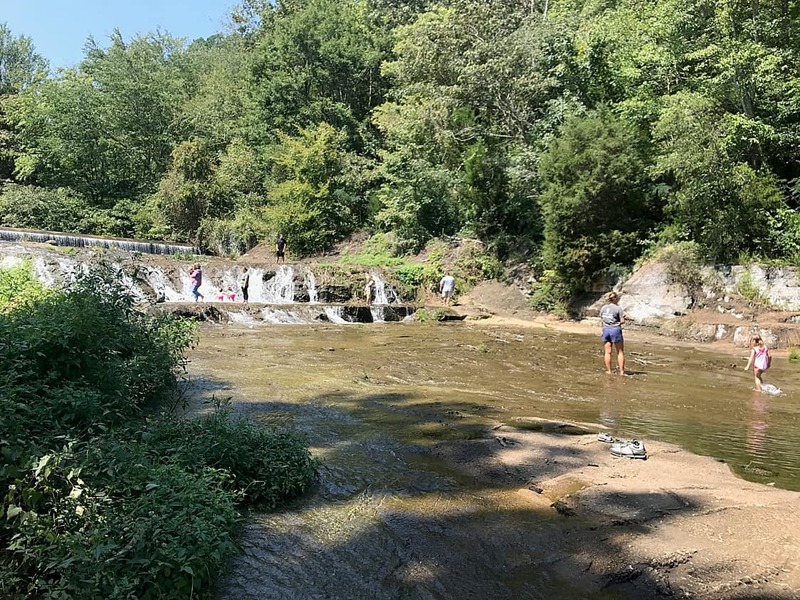 Crockett Falls is a great place to wade around or take a swim. 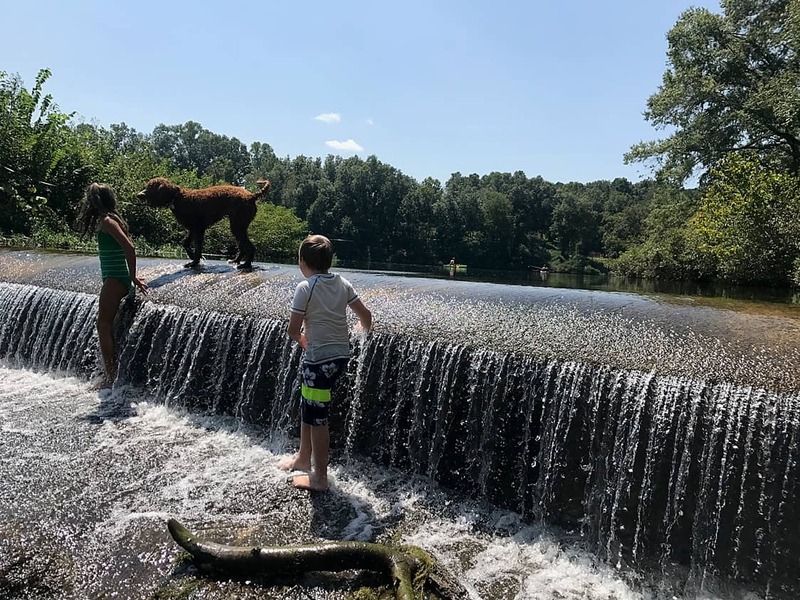 The water is at most waist deep, so it’s perfect for kids. 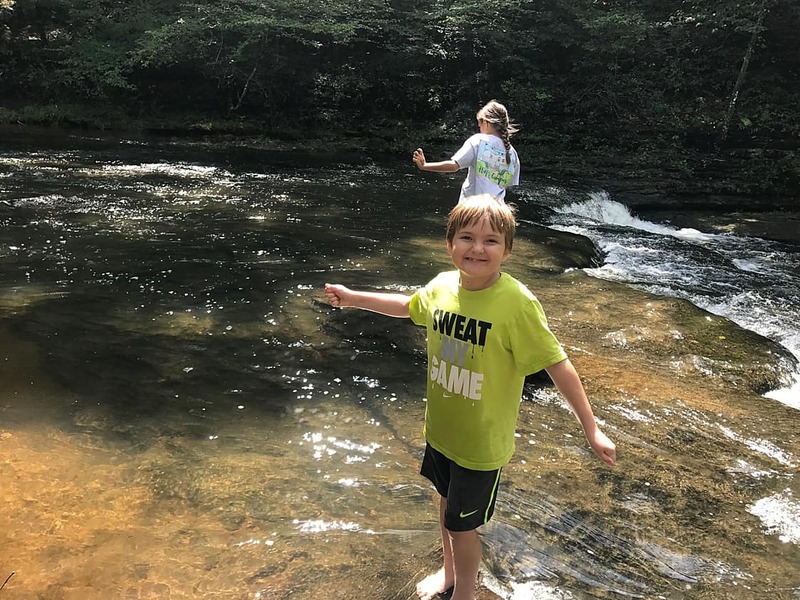 Make sure you bring water shoes or sandals for everyone because it makes it easier to navigate the rocky creek bottom. 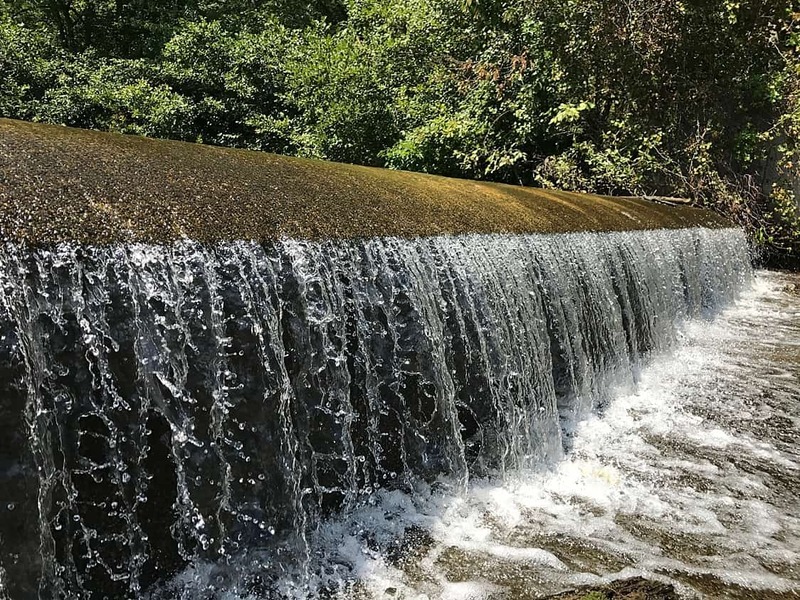 Little Shoal Creek meets David Crockett Lake through a series of man-made waterfalls and a concrete dam. 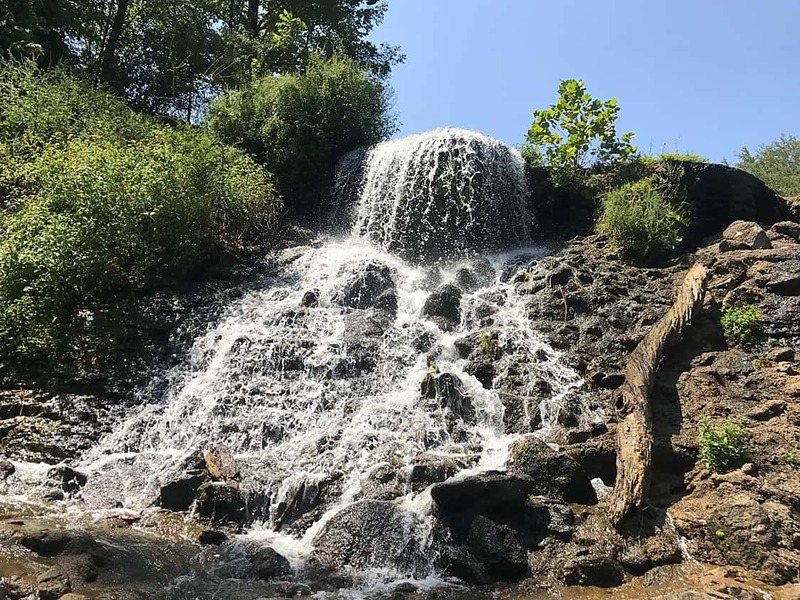 These falls provide another fun place to splash and play in the water. If you get tired of swimming, you can rent a canoe or paddleboat for a trip around the lake. We also saw quite a few people taking advantage of the plentiful fishing spots. 2. Nice trails to hike and bike! 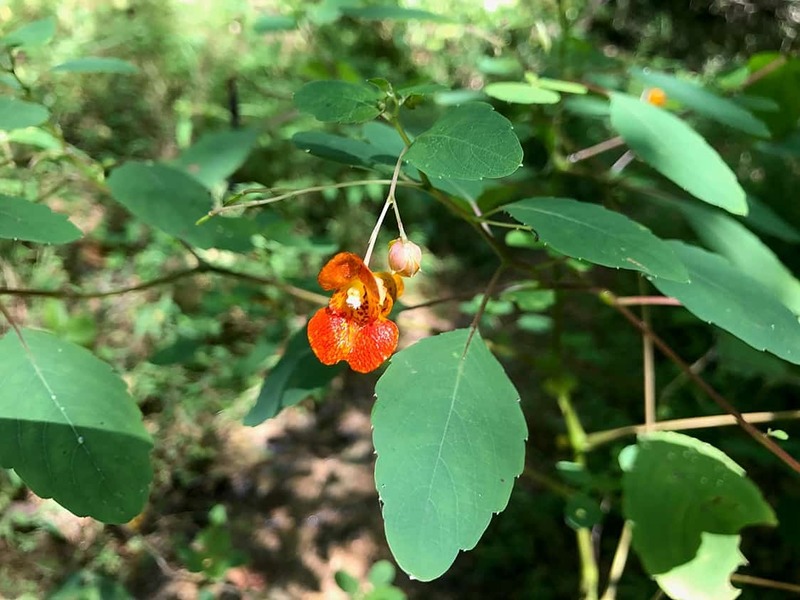 Sometimes the best way to take in the beauty of a State Park is to go for a hike. Our crew had a great time hiking around the park. 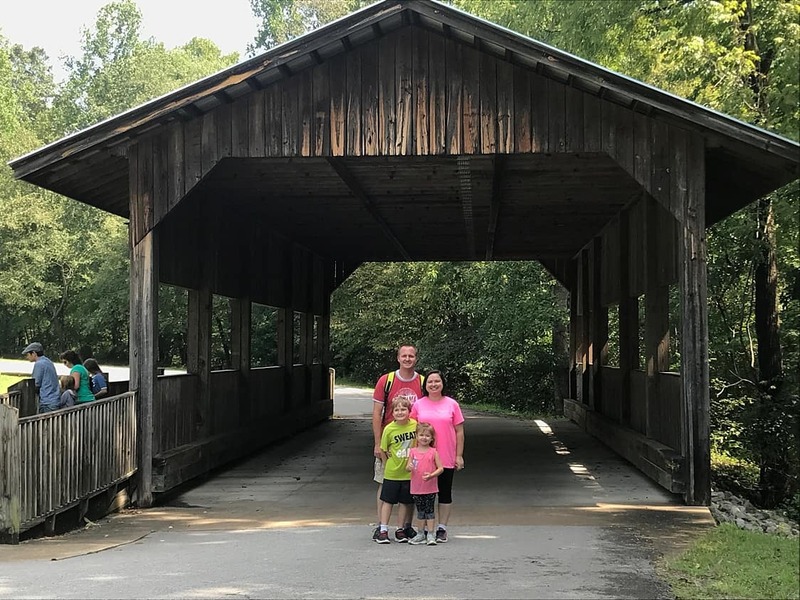 We took a rustic trail that started at our campground and meandered by the creek all the way down to Crockett Falls and an adorable covered bridge. Once we had worn the kids out on the uphill trail, we took a paved mountain bike path that made for easy walking. Although we didn’t have time to venture on it, the park also has one of those trails that doubles as a gym. As you walk along it, there are different pieces of workout equipment dotted along the trail. 3. Lots of ways to learn! One of my personal favorite places in the park was the David Crockett Museum. 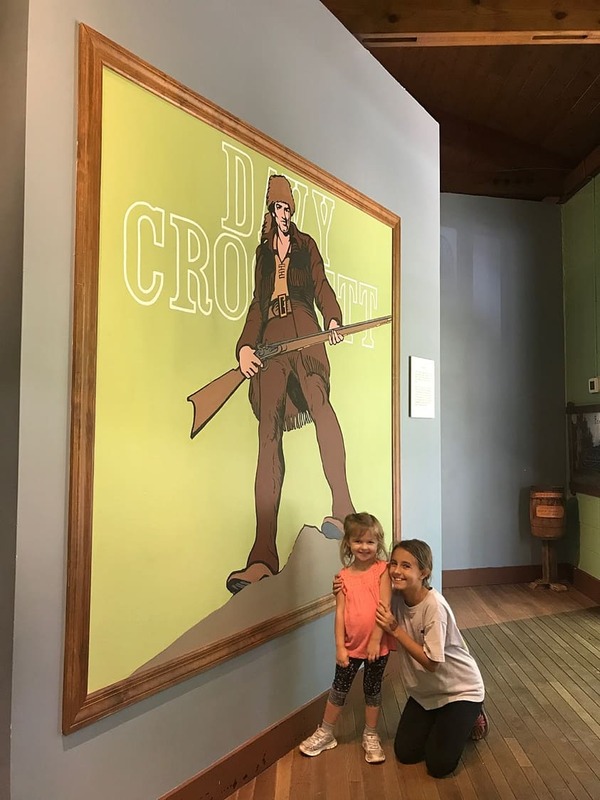 The museum educates visitors on the park’s namesake, David Crockett- a Tennessee pioneer, congressman, and hero of the Alamo. I didn’t have high expectations for this free museum, but I was pleasantly surprised. There were sections that had the usual exhibits to read, but several elements were hands on. The kids liked seeing the different grinds of cornmeal made by the gristmill and feeling the pelts of animals once hunted by fur traders in the area. Jackson and Emerson’s favorite part was the aviary next to the museum. They loved seeing the different types of owls and other predatory birds on display. On weekends, the museum is a happening places. The rangers and staff host activities and tutorials on subjects like “Medicinal Plants” and “Pioneer Games and Toys”. The gift shop inside the museum is worth a look too. 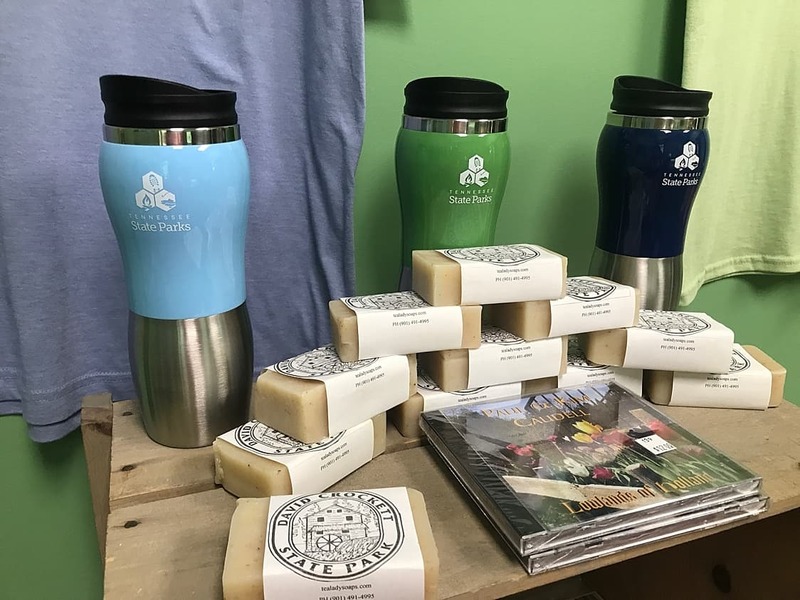 You can grab a Crockett Park coffee mug or Exfoliating Natural Soaps made with cornmeal ground on the old fashioned gristmill. 4. Kids love this place! Jackson and Emerson would have stayed a week. 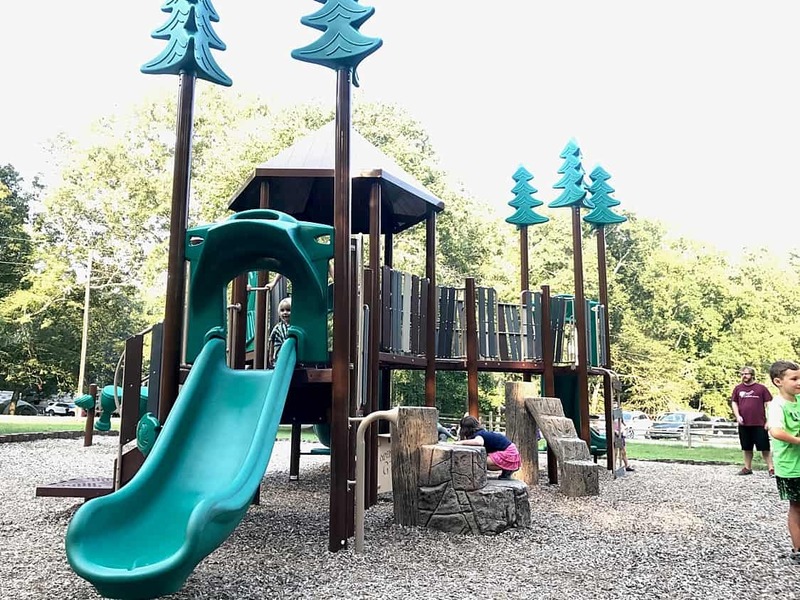 There are three nice modern playgrounds. THREE! Some towns don’t even have one. Although it was closed when we went, the park also has an Olympic size swimming pool. Wildlife is everywhere, from chipmunks and birds to deer and wild turkeys. We saw around 12-15 deer the evening we drove into the park. We even had a couple of does tiptoe past our camp site one morning. 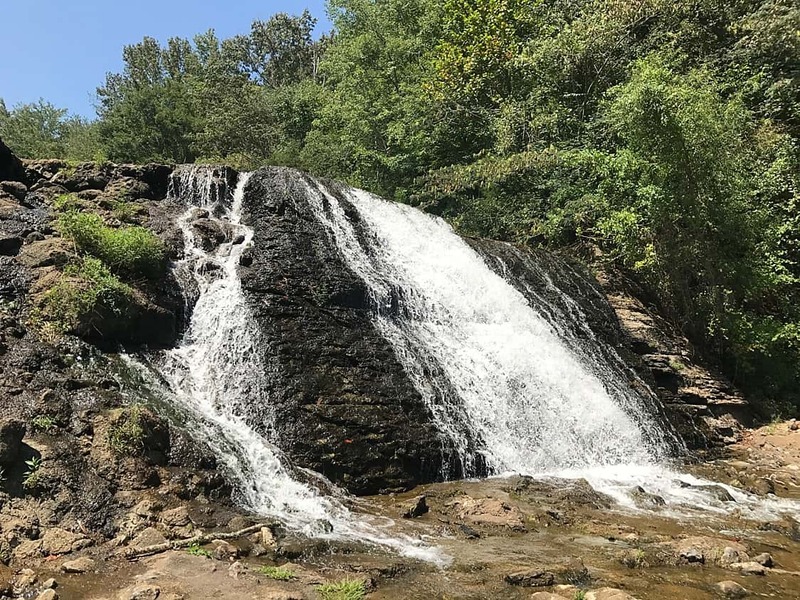 If you are ready to venture to David Crockett State Park, just grab your travel trailer or tent and head out! Not a camper? Not a problem. They also have cabins for rent. I’m sure it won’t be long before we escape there again! Next time we’ll try out some of these dutch oven desserts while we’re there. Kelsey is a mathematician-turned-mom to Action Jackson and Little E and wife to her Rocket Scientist husband Nick. As a family, this nerdy bunch likes to spend weekends looking for adventure in the most unusual (and sometimes perfectly ordinary) places. 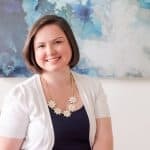 By day, Kelsey works from home as a photographer, freelancer and social media ninja for her church. You can find more of her stories and Little E’s latest messes on Instagram. Follow along with their family and RV trips on YouTube.